The new normal is to maintain relevance and emotional connection in a reality where the “captive” consumer no longer exists. Instead, brands must create compelling content that people will willingly participate in – and authentically insert themselves into popular culture. Our trail-blazing speakers from brands, agencies and the wider creative community will talk about how they are intersecting at significant moments or events in culture and sparking important conversations. How can brands enter social and cultural conversations and encourage active participation from consumers? What can we learn from the brands that are finding creative ways to reach the ad-blocking, cord-cutting generation? How can we create agile and savvy teams who are able to produce content at the speed of culture? Storytelling: an over-used word undoubtedly, but it is the foundation on which this industry is built and it has the power to change lives. As ever, at Cannes Lions, world-class speakers who write and tell stories across multiple platforms will share how they make audiences laugh and cry. Hear from creatives, filmmakers, authors and designers on how they conceive and create powerful work that resonates with all generations of consumers, all over the world. How can we harness new immersive and innovative platforms to deliver traditional stories? Which big, bold and brave stories have succeeded across multiple channels? What can we learn from the artists, creatives, writers, musicians and film directors who create truly memorable work which lives on in memory? In a world of big data and shiny tech, we explore why the ’Big Idea’ still matters and whether efficiency actually equates to effectiveness. Speakers will look at how you can marry exceptional creativity with commercial results and whether we are still selling creativity short. See some of the world’s most effective campaigns brought to life and deconstructed on stage. Is the current obsession with performance marketing a snake oil and what effect is it having on creative output? Short-term brand activations versus long-term brand-building: how can we make an impact with a smaller budget? How can creativity drive true competitive advantage and what are the world’s most creative organisations doing to instil belief in the value of creativity? Hear original and credible perspectives from diversity champions on how to create inclusive workforces where creativity can thrive. 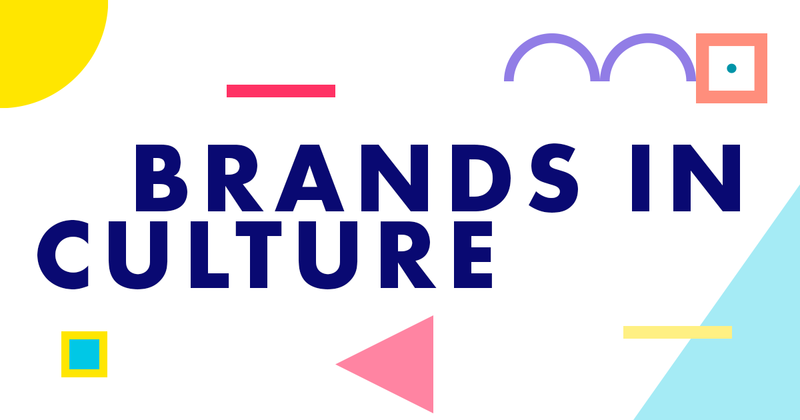 In conversations that will move the dial, speakers will outline new benchmarks for brand work that promotes diversity and inclusion and explore the wider benefits for culture and society (and brands). What does a truly inclusive creative and leadership team look like and what impact does this have on creative output? To what extent is unconscious bias holding us back and are agencies inherently racist, homophobic, sexist and ageist? What are the most creative companies doing today to defy stereotypes, and what ground have they gained in competition, innovation and revenue? We’ll explore the deep structural changes and cultural shifts in the branded communications landscape – in agencies and in brands. Legacy agencies must adapt or die out and incumbent brands must re-think their entire business and marketing strategy to stand up to innovative D2C challengers. How can we build outstanding creative capabilities, whatever workspace we inhabit? And where will the best talent be in two, five or ten years’ time? Faster, better, cheaper: in a time of immense speed and efficiency, can we really have all three? Will creativity, the sacred preserve of agencies, move inhouse and will it ultimately fail? Hear case studies from some of the world’s largest brands on how they maintain customer relevance in a mobile-first, Amazon-dominated, voice-enabled world. Speakers will outline how brands can survive and thrive in an era of endless digital disruption, where highly personalised communication and seamless customer journeys are expected rather than appreciated. What does best-in-class digital transformation look like and how can you practically evolve your business to navigate your way through ongoing disruption? How can we use data to anticipate the needs of customers within an on/offline retail environment and provide them with a frictionless experience using the new tools (facial recognition, voice, chatbots) at our disposal? Can we create direct pathways to consumers in this new algorithm-driven economy? Who is doing it well and what can we learn from them? Understand the ideas behind the idea. Hear from strategists, psychologists, futurists and behavioural economists with unique insights into consumer trends and behaviour. They’ll share the human insights that have changed how we think about targeting, personalisation and reach. We will explore how creativity can solve fundamental business problems. Where can data and analytics inform campaigns and lead to real brand breakthroughs? How can we take a more intentional approach to creativity which can solve wider business problems and brand challenges? What are the brilliant ideas and strategy behind some of the world’s most effective creative work? Hear from the leading thinkers on how to drive brand presence with purpose and see some of the captivating work that is inspiring positive action and change in an uncertain world. We will see case studies on how purposeful communications can drive brand loyalty and sales but also examine how a misfire can wreak havoc on a brand’s reputation. In a polarised society, does brand activism have a role and how can we do this authentically and meaningfully – without fallout? Just how important is brand purpose to millennials and future generations and how do we build brands that are inherently based on ethical principles? Do we focus too much on purpose at the expense of good, creative, product-shifting marketing? Dive into how you create consistency across all touchpoints and provide rich consumer journeys in the ’age of me’. CX is seemingly a panacea but can mean very different things to different people. At its core, it’s about the practical and tactical ways to drive customer loyalty and satisfaction with consumers at each point that they engage with a brand. From campaign messaging to digital platforms, to instore activations – how can we create unified experiences so that there is no distinction between where one journey ends and another begins? What potential do new technologies like Voice and 5G have for the future of customer experience and how can we exploit them to the best advantage? It’s all about the execution: how can we translate beautiful ideas into phenomenal experiences? A ubiquitous industry issue. We have a lot of work to do to restore trust, which has taken a battering in recent times. We need to fix the system in order to create long-lasting and transparent relationships. As communications channels, platforms and content continue to proliferate, our speakers will interrogate how we can respectfully engage consumers and drive meaningful value exchange. What can we learn from new challenger brands whose entire ethos – from material, product development, supply chain and advertising – is sustainably set up? Personalisation in the age of data privacy…how can we remain relevant but not bombard the world at large? The evolution of the influencer world: will influencers still be trusted by the public following recent backlashes and what implications does this have? People come to Cannes Lions for inspiration, to get business-accelerating insights, to make new contacts and to get the tools they need to deliver better results. Whatever you want to achieve, there’s a pass to help you get maximum ROI from your trip. Find the perfect pass for you.